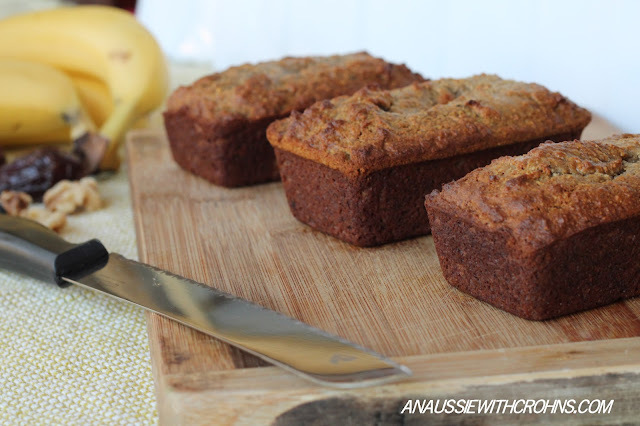 An Aussie With Crohns: Banana, date & walnut bread. (Paleo & SCD). 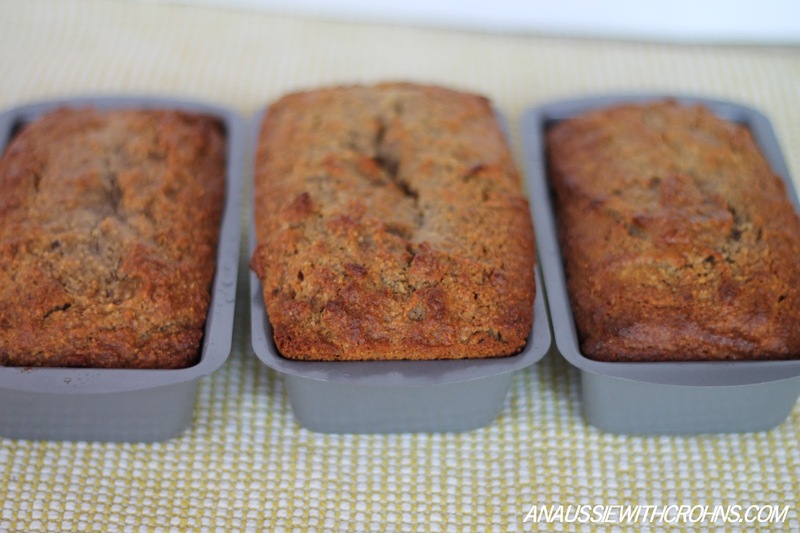 Banana, date & walnut bread. (Paleo & SCD). 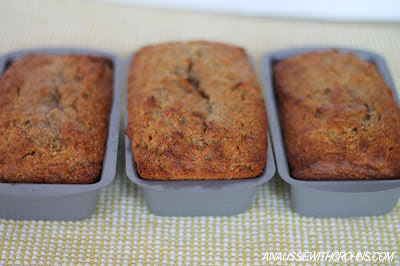 Banana, Date & Walnut Bread. Put walnuts and dates in food processor and pulse until in small pieces. Put flours, soda and spice into a mixing bowl and combine, breaking up any lumps. Melt coconut oil in microwave and add to flour mixture. Warm honey in the microwave then add to flour mixture and stir. In food processor, blend banana and eggs. Add egg mixture to flour mixture and stir well. Grease small loaf tin (or 3 mini tins) with coconut oil. Best Paleo banana bread I have ever made. Love it. I'm just baking this right now. I saw your Cookies made with Tahini but I didn't have any and suddenly wanted a sweet treat, I haven't had anything for ages. Excellent Banana Bread! I made the big loaf and I think I'd rather make the smaller ones in future. The big amount took a bit over an hour to cook and even then it might have been a tiny bit undercooked. I kept it in the fridge and a nice thick slice was really great as a quick breakfast with my coffee when rushing to get to work. Made this today, and can't stop eating it!! Absolutely moorish!! Tku for sharing your recipe!!! Just to say I just discovered this recipe and it is delicious! Best paleo bake EVER. I wanted more of a tray bake so poured the batter into a 9 x 9inch tray. Went down a treat with non-paleo colleagues too. Lovely warmed up with a cup of (herbal) tea in the afternoon. Thanks so much. Love this recipe. It reminds me so much of the date and nut bread my Mom used to make but with a nice banana flavor added to it. 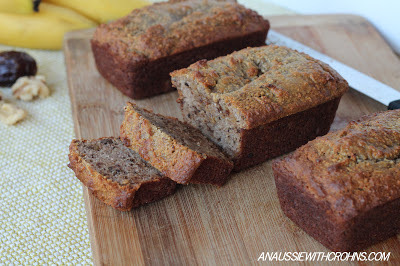 I have made gluten free banana breads before but this is more like my regular version. Thanks for sharing on Gluten Free Fridays. Have made this recipe before and loved it! So I would like to make it again, but I am counting my macro's now for the fitness. So I wonder if I can leave out some of the coconut oil? Because this makes the fat content of 1 slice quite high..